As the G7 summit ended with deep divisions over trade, another meeting of global powers was going a lot more smoothly. President Donald Trump refused to endorse a joint communique with America's closest allies as the Quebec summit ended in chaos, in stark contrast to the carefully choreographed meeting of the Shanghai Cooperation Organization (SCO) in China. While Trump clashed over tariffs with other G7 leaders like Canadian Prime Minister Justin Trudeau, China orchestrated an agreed statement on trade and security between the countries attending its summit in the city of Qingdao. The language of the statement, which "stressed the importance of ... consistently strengthening and developing the multilateral trade system," echoed recent talking points of Chinese President Xi Jinping, who has sought to cast himself as the defender of global free trade. Many experts question his credentials for that role, given China's own trade practices. But Trump's recent barrage of tariff announcements and attacks on the World Trade Organization give Beijing plenty of opportunities to position itself as a power that is committed to working with others to address global challenges. Chinese state media seized the chance to contrast the G7 with the SCO summit, which was attended by Indian Prime Minister Narendra Modi, Russian President Vladimir Putin and the leaders of several other Asian countries. "Against the backdrop of rising unilateralism and anti-globalization, the SCO's opposition to trade protectionism in any form is especially encouraging," state-run newspaper China Daily said in an editorial published in English. Another state-run media outlet, People's Daily, posted a tweet comparing photos of leaders at the two summits. The G7 picture showed a seemingly tense moment between European leaders and Trump, while the SCO image showed a group led by a smiling Xi and Putin. The SCO includes the world's two fastest growing major economies. 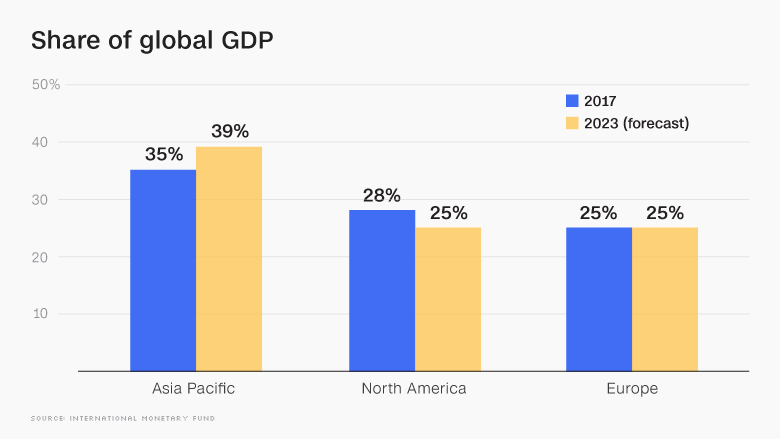 China alone is expected to contribute around 30% of the total increase in global GDP over the next decade, with India accounting for another 10%, according to IHS Markit. But analysts say the Chinese summit is more about pomp than real policy. 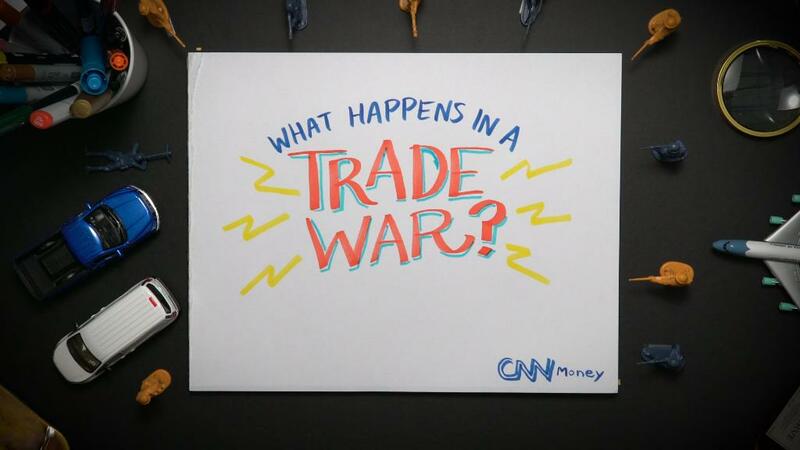 "It is highly superficial and has never resulted in any significant cooperation between its members on security, economic, or political issues," said Scott Kennedy, an expert on the Chinese economy at the Center for Strategic & International Studies in Washington. The surface unity of the event masks divisions between its members, notably on China's Belt and Road initiative, an ambitious plan to pump hundreds of billions of dollars into ports, rail lines and other projects across Asia, Africa and parts of Europe. India is unhappy about the partnership China is developing with Pakistan through the initiative. The China-Pakistan Economic Corridor, a key component of Belt and Road, passes through the disputed region of Kashmir, which both India and Pakistan claim in its entirety. In the official statement Sunday on the outcome of the SCO summit, India was absent from the list of countries affirming support for the Chinese initiative. The SCO started out in 2001 as a forum to resolve border disputes in Central Asia, but has since expanded to include more countries and cover other issues like trade. It has eight permanent members: China, Russia, India, Pakistan and four Central Asian countries. Four more countries, including Iran, have observer status. But critics say that as the organization grows, it becomes even more unwieldy and less likely to achieve tangible results. "No one in Washington or other Western capitals is terribly worried about the SCO being a shadow G7 or source of a genuine counter-narrative to the liberal international order," Kennedy said. -- Rishi Iyengar contributed to this article.